Step Up Consulting Services was contracted in 2015 by Soil and Water Conservation Foundation to document and publish into a book the natural resource management practices that its projects in Bohol implemented. The project began with a participatory book conceptualization workshop that was facilitated by Step Up in order to define the details of the book, including proposed title, theme, concept, content, length, writers, among others. The intention was to ensure that the book represents the project, including the views of those who were impacted by it. The book was finally completed with SWCF’s Executive Director Bill Granert writing part of the chapters and reviewing the whole book content. Publication was done in the middle of 2016 and printed copies was distributed to SWCF partners. If you want a hard copy of the book, please contact Marilou Sale at marilou.sale@steupconsultants.com. The 2018 edition of the successful book, Accounting for Non-Accountants, is now out. It will be available soon at selected branches of National Bookstore. Step Up is currently conducting a province-wide research on the demand for courses on heritage, culture, and the arts. 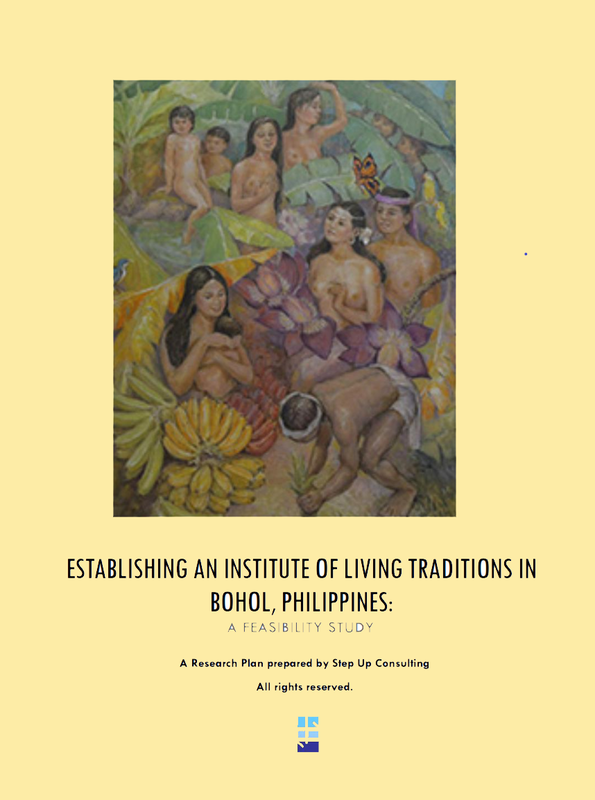 The research is part of the process of analysing the feasibility of establishing the Bohol Institute of Living Traditions. Step Up Consulting Services is in need of research interns who are willing to conduct field and desk research for at least 10 hours a week. The interns should be college students at their junior year and has taken at least 12 units of English subjects. For those interested, please send your CV and letter of intent to marilou.sale@steupconsultants.com. While internship at Step Up is unpaid, the learning experience is very enriching. After 100 hours of work, Step Up management will decide whether to retain the intern for a modest hourly pay. Send your documents now! 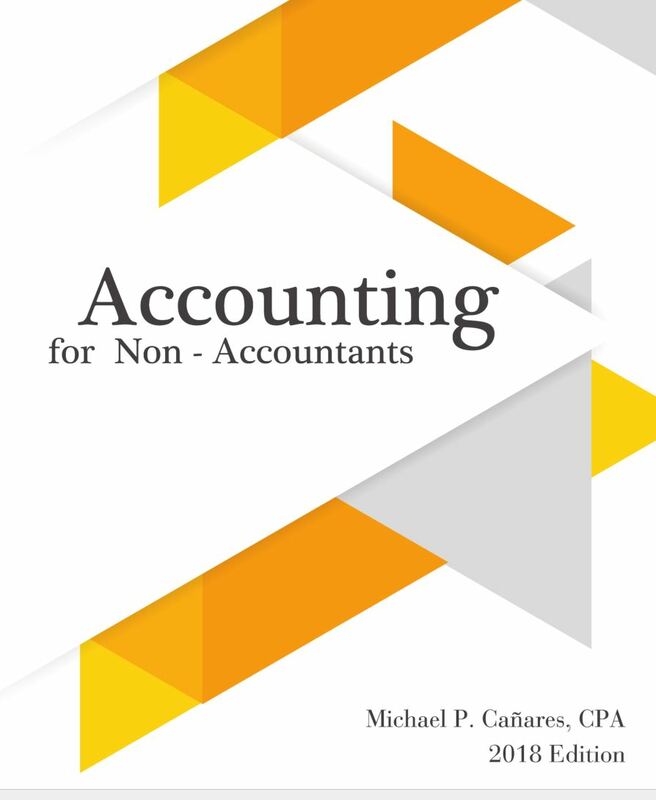 Mr. Canares' book, Accounting for Non-Accountants sold 50% of its original published copies. The book, released in June 2011 this year and published by the Holy Name University Publication Office, was even made as text book for students at the Philippine Maritime Institute - Tagbilaran City campus. The book is also made as reference at the library of Sacred Heart College in Misamis Occidental. The United Nations University World Institute for Development Economics Research based in Finland published recently the work of Step Up Managing Consultant as working paper and available for download at the UNU-WIDER site (http://www.wider.unu.edu/publications/working-papers/2010/en_GB/wp2010-61/). The study entitled "The Excluded Poor: How Targeting has left out the Poor in Peripheral Cities in the Philippines" talked about two cities - Butuan in Mindanao, and Tagbilaran in Bohol. The Oxford University Press will release in April 2012 a book entitled Urbanisation and Development in Asia: Multidimensional Perspectives (http://www.oup.com/us/catalog/general/subject/Economics/Urban/?view=usa&sf=toc&ci=9780198078531) edited by Ravi Kanbur, Jo Beall, and Basudeb Guha-Khasnobis. Step Up Managing Consultant Michael Canares' work appears as Chapter 14 in the edited volume. For more information on the book please visit the link provided. Michael Canares was hired as a consultant for project development by Kindernothilfe-Germany to help develop the Empowering Indigenous Communities for Inclusive Development project. The said project seeks to help the indigenous communities in Antique province through a programmatic intervention largely based on the self-help approach. The project was approved for funding by the European Union and is currently implemented in the province of Antique. Book Assisted by Step Up Now Out! Step Up Consulting Services assisted PROCESS-Bohol Inc. in the production of its 25th anniversary commemoration book. The book entitled "Journeys to Empowerment: PROCESS-Bohol @ 25" was launched last 2nd March 2010 on the occassion of the organization's anniversary. Michael Canares, Managing Consultant of Step Up worked with the organization staff in writing, editing, and finalizing the book. Justice, Peace, and Integrity of Creation - Integrated Development Center of Cebu City, commissioned Step Up Consulting Services to write a process documentation of its Early Childhood Education project in Agusan del Sur late last year. The outcome of the research project is a book entitled "Through the Eyes of a Child: Lessons from an Early Childhood Education Program in Agusan". The said book is currently being printed and will soon be distributed to JPIC partners in the Philippines.